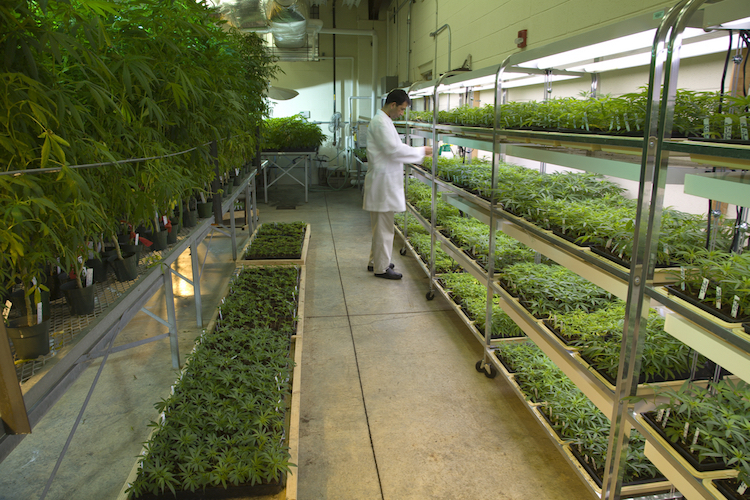 The marijuana project is a long-standing effort of the UM School of Pharmacy’s National Center for Natural Products Research (NCNPR) to study all aspects of the cannabis plant as part of its comprehensive program of natural products research. The project began in 1968 when Dr. Coy Waller, then director of the Research Institute of Pharmaceutical Sciences, led the school into a contract with the federal government to cultivate marijuana for research. Funded first by the National Institute of Mental Health (NIMH) and later by the National Institute on Drug Abuse (NIDA), UM has secured this competitive contract every three to five years under an open solicitation process based on its proven capabilities of providing pharmaceutical-grade marijuana and marijuana-derived materials to NIDA’s Drug Supply Program. These cannabis products are used by researchers in the U.S. for various studies, including FDA-approved clinical trials. Dr. Mahmoud ElSohly and Dr. Ikhlas Khan co-direct the marijuana project.